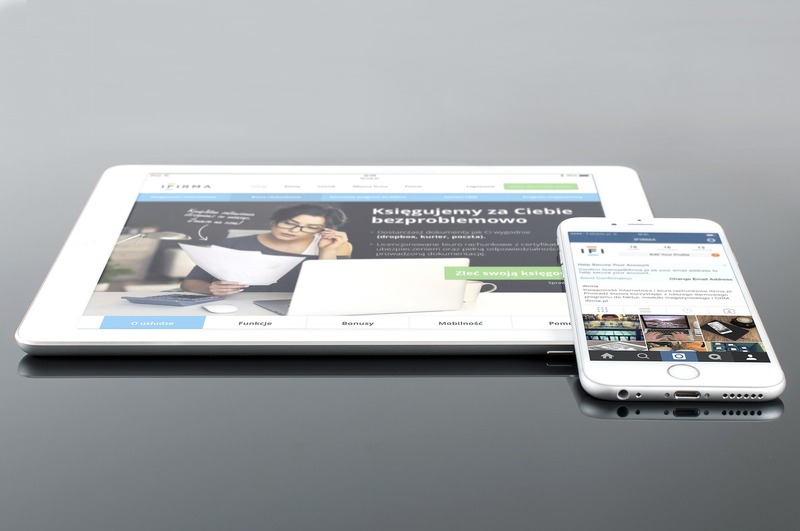 One of the things to consider before you decide to redesign your site is to check if your site looks good and is accessible on tablets and mobile devices. This is very important as more people view content and purchase products/services using their smartphones. Depending on your site, your audience and your budget, there are a number of ways to make sure your site looks good across all devices and screens. You can either make your site mobile friendly or build a responsive site. Both of these are ways to improve your site on the smaller devices. Mobile friendly sites are those where the content has been made to look mostly proportional to the screen size or sometimes specific to the device like phone or tablet etc.. These sites do not necessarily have the same design/look on desktop and mobile. They are usually slimmed down versions of your desktop site. Having a mobile friendly website is a requirement by Google for site rankings. Mobile friendly sites are functional, but do not necessarily provide the best user experience. Not much maintenance is required from your side other than regularly updating the plugins as needed. These plugins come with a bunch of custom options that can be used to customize your mobile site. The mobile theme does not match your regular desktop theme. Even though you can customize the mobile theme provided by the plugin, there are limitations. Responsive sites are those that change/re-format based on the screen width. They are built so that the transition is seamless. If you open a responsive site in any browser and reduce the width of the browser, the site will beautifully adapt as the screen width goes down. Responsive sites are built in a way that the main design/colors/styles of the site are maintained at all browser widths, but the content is moved around. The menu is usually condensed and certain elements like the sidebar are pushed below the main content so as to give more space for the main content on smaller screens. It gives a uniform experience to your users whether they use a desktop, mobile or a tablet. If you care about your branding, then putting in the money for a responsive site will definitely pay off! Converting your existing site to a truly responsive site takes time and effort. This also costs more as you would need to hire a developer to convert the site to a responsive one. So mobile friendly or responsive site? If you are having a site or WordPress theme built from scratch, please go for a responsive design and theme. This will help in long term maintenance as well. If you have an older site and you do not currently have a budget for a responsive site, making your site mobile friendly is still good. This will enable users to be able to scroll through the site and even purchase items online. It might not be the best of experiences, but it still works. Responsive sites give the users a better experience. The important content shows up right away and the rest is pushed aside. Get a new responsive theme built for your business or buy a responsive WP theme. This would be a very good investment especially if your site design is older than 2-3 years. It will give a fresh look to your site and making it responsive ensures that it is accessible on any device. This is also makes your site maintenance easier. The second option is to convert your existing WordPress theme or your html site to being responsive. This is also a good option as it is cheaper than getting a new theme/design and gives you the exact same benefits of having a responsive site. This also makes the maintenance easier. Whatever method you choose, having a site that works on smaller screen widths in very important.